Oh hey, looks like we’ve finished this project at last! 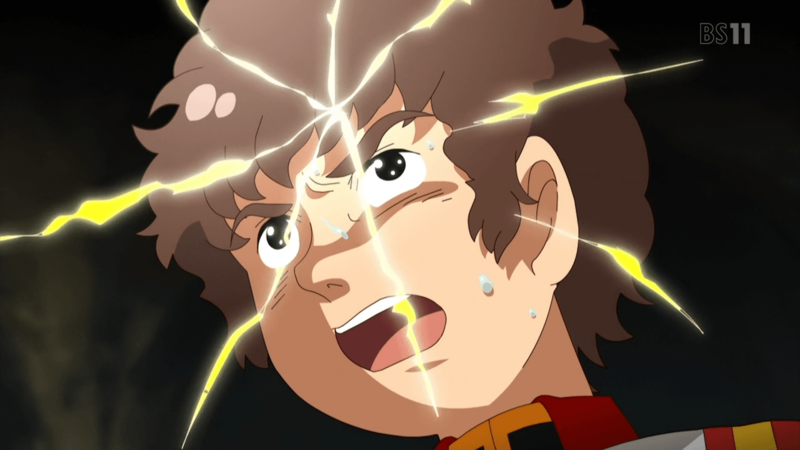 The perverse adventures of Amuro and Char have come to an end. 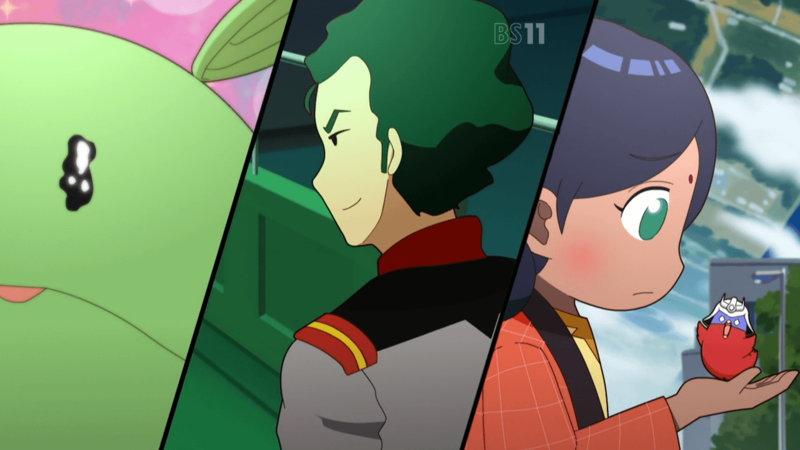 I enjoyed the shorts very much and am a bit disappointed that it ended at 13 episodes, having not featured all the characters in the ending sequence yet. I doubt Bandai will ever front the costs of putting this out on Blu-Ray, but if they do, you can expect us to refresh our release. The high quality of this batch could not have been upheld without the support of the fantastic team here at Saizen. I’d like to thank everyone that contributed and hope I can count on them again in the future. Seiyou_AMS – translated, edited and timed each release! A true fansubbing powerhouse. sm2345 – k-timed the ending song for us on short notice. Did I mention he freelances? blakbunnie27 – curated translation confidence in each episode! Eternal_Blizzard encoded episodes 1-5, Scab did 6-11, and BakaProxy finished 12 & 13. Three cheers for the three of you! lol. Quality control was handled by FalseDawn and sangofe, keeping us on our toes and making sure we didn’t slip up any job. [M]-V – our anime kingpin, hosts the project files and got the releases out expediently. Without further ado, from our team to you, enjoy the release! Bet you thought we dropped it! The tl;dr version is people have other engagements and once one job is ticking behind, the rest of the fansubbing machine starts slowing down as well. In any case, we’re back on track and have worked hard to get these out for you guys… Hopefully the results speak for themselves! I believe the show will be over with episode 12 or 13. GBF Try airs October 8th, so hope to wrap things up with the batch before then. 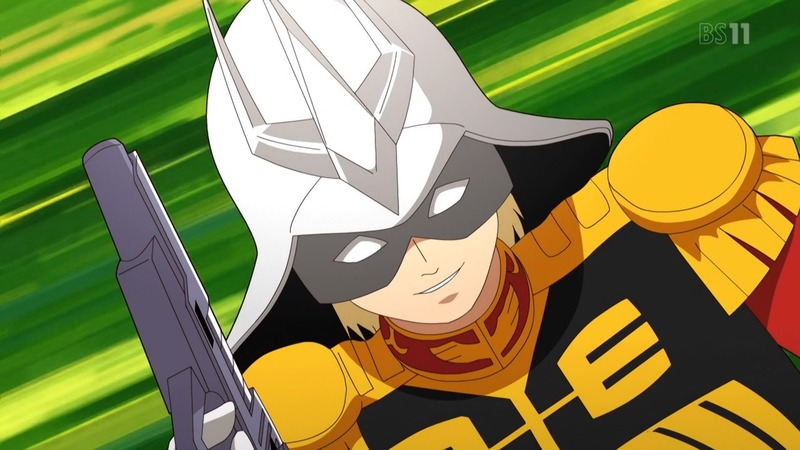 Gundam-san – 03 & 04 Double Release! Howdy y’all, here are the next two episodes. Expect more SoonTM. Surprise, surprise! Saizen is getting its feet wet with another mecha (sorta?) anime! 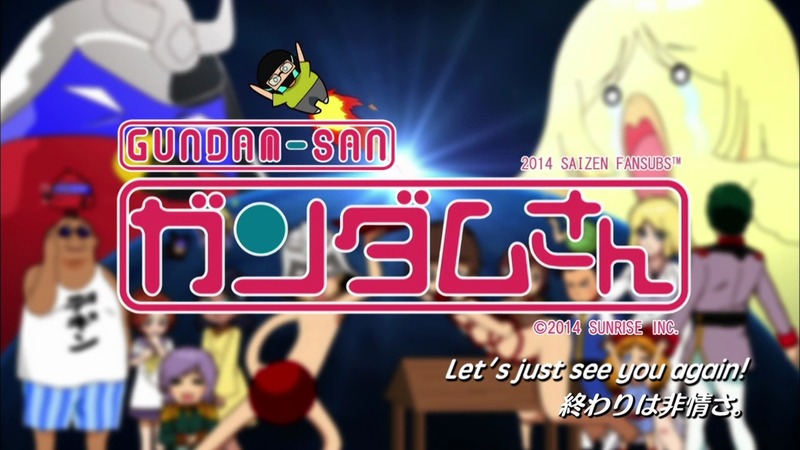 Mobile Suit Gundam-san parodies the original series of the same name sans the ‘-san’, that aired in 1979. The gag anime is based off a yonkoma still serialized in the monthly Gundam Ace magazine. What better time than our 10th anniversary as a fansub to work on this show, as it’s also Gundam’s 35th anniversary! This is a big year for the Gundam franchise with Unicorn already out, two TV series and an OVA series in autumn, and now this. We’re going to have a lot of fun with this little project, and hope you all enjoy the ride with us whilst you await the rest of the series this year.